Super Hero Cape Sets - 10 Styles Only $9.99! You are here: Home / Great Deals / Super Hero Cape Sets – 10 Styles Only $9.99! Super Hero Cape Sets – 10 Styles Only $9.99! 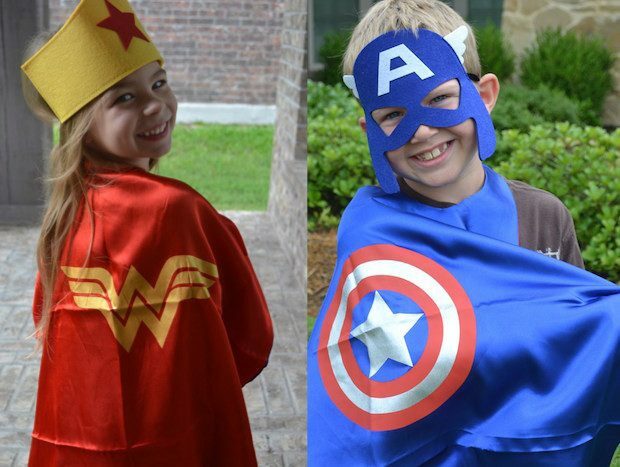 My grandkids have so much fun playing dress up super heroes! These great sets contain both a cape and hat or mask depending on the super hero. Get these Super Hero Cape Sets in 10 Styles for Only $9.99! When life calls for a hero, do it in style!